Come experience quaint waterfront towns, feast in memorable restaurants and catch a glimpse into the past at historic plantation homes in Alexandria and Prince William & Manassas, Virginia. Make Occoquan, VA your lunch stop today, less than one mile from Interstate 95. 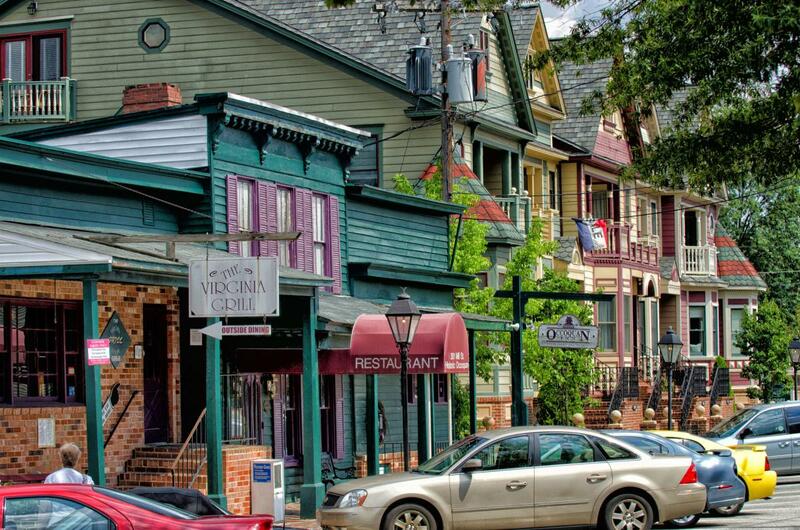 Today, you can see and feel the charm of this quaint 18th-century town which sits along its namesake river, Occoquan. Take advantage of the popular Dine-Around Program for an on-your-own lunch. Guests will receive a map listing all the restaurants in town, most of which offer a discount on food and drinks. Additionally, the motorcoach driver receives complimentary bus parking and a free meal! After lunch, meet the Mayor of Occoquan, Earnie Porta, for a guided tour through the historic district. A noted author, historian and entrepreneur, Mr. Porta will share stories and facts of the town’s rich history as a bustling port and mill town as it developed throughout the 1800’s. Be sure to ask him why the building in the middle of town is called the Artists Undertaking Gallery. Say farewell to Earnie and enjoy some free time to explore the quaint mom-and-pop shops along the water. Most visitors choose to stop at Mom’s Apple Pie to snack on a slice of their Virginia blackberry crumb or butter pecan apple crumb pie. Their preservative-free goodies are so popular that even First Lady Michelle Obama has personally visited to order a number of their pastries. Later this afternoon, walk along the dock to enjoy the natural beauty of the Occoquan River. Board Miss Rivershore for a cruise where Captain Mark Perry will share the local history of the region, tell stories about the variety of boats docked in the marina and highlight the wildlife along the river. You may even see bald eagles! Carluccios- The first US spot for this Italian restaurant and store. Enjoy authentic pastas, meats and splurge on specialty olive oils and desserts in the heart of Old Town. Gadsbys Tavern- Dine authentically where George Washington would hold important meetings with the founding fathers and his masonic lodge brothers. Fish Market- Indulge in the best local seafood served in a relaxed and fun atmosphere right in the heart of Old Town. The All American Steakhouse – Select your own steak and enjoy the casual sports themed restaurant with large portions and stellar service. The Harbour Grill – A restaurant built inside a marina where they serve freshly caught seafood and tenderly grilled steak. Madigan’s Waterfront – A group friendly favorite for years, sink your teeth in to whole lump crab cakes or delicious steaks as you look down the Occoquan river. Bottle Stop – Sip on savory wines while enjoying the fantastic food at this wine bar and eatery in the heart of Occoquan. Try their tasty flatbreads or tender sliders to pair with your glass of vino. Start your day with an award-winning doughnut at Sugar Shack and hit the road to see Woodlawn, a plantation that was once part of George Washington’s Mount Vernon and designed by the architect of the US Capitol. While you are there take a tour of Arcadia Farm which is housed on the Woodlawn grounds. They are dedicated to creating a more equitable and sustainable local food system in the Washington, DC area. Head back into Old Town for a waterfront lunch at Chart House then walk up boutique filled King Street to the Carlyle House. Built is 1753, the house was built buy a British merchant for his lovely bride. Take a tour of this pre-revolutionary Palladian-style stone house then look out for PBS’s newest drama Mercy Street which takes place at the Carlyle House! Head back down to the waterfront to enjoy a refreshing take on American fare at Virtue Feed & Grain, a restored Feed warehouse situated at the foot of King Street. Make sure to stop in the Torpedo Factory, the largest collection of publicly accessible working-artist studios in the United States. With 82 studios and six galleries, you can meet resident artists and watch them work. Finish your evening on a moonlit boat tour of DC’s historic monuments with Potomac Riverboat Company. Begin your morning by visiting Rippon Lodge, a former plantation known for tobacco, wheat and other commodities. Built in 1740’s and the oldest known home in Prince William County, the property overlooks the Potomac River and is close to the former bustling port town of Dumfries. The owners used their proximity to the waterways to export their goods to England. Dive into an underwater coral reef adventure at the Hylton Planetarium. Both an educational and entertaining film, you’ll follow a young swordfish named Jake as he helps his friends through a volcanic catastrophe. This state-of-the-art dome theater immerses you in to the film with 360° high definition projection video, surround sound, and special effects. This afternoon enjoy a casual lunch near Potomac Mills, Virginia’s largest outlet shopping center. Take home some mementos to remind your friends and family of the wonderful time you had in Alexandria, Prince William & Manassas.